AU $115,000 Per Share	1/5 share Need Finance? Royal Queensland Yacht Squadron, Brisbane	Need Insurance? AU $115,000 Per Share	1/5 share Need Finance? Need Insurance? 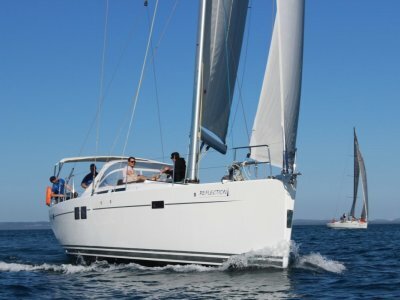 Yachtshare's 2014 model Hanse 505 has been lovingly and professionally maintained since new by her original owner. At Yachtshare, we only accept the best quality pre-owned vessels into our syndicate program. Once you see the showroom condition of this yacht, you will know precisely why Reflection is the perfect addition to our fleet of sailing yachts. This exceptional blue water cruiser is ideal for the sailor that likes their yachts big and fast, but with luxury and comfort. 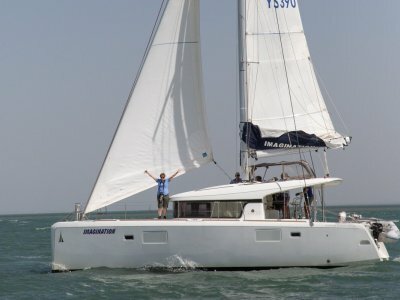 Despite being 50 feet in length, the yacht can be sailed easily short-handed by a couple with a self-tacking headsail and in-mast furling mainsail. With a mast height of 22m and 114m2 of sail area, there is no performance penalty with the easy to use sail plan. All sheets and electric winches are accessed at the helm stations with no jumping about the deck or cockpit when under sail. Her deep 2.4m T-Keel offers sensational performance in all sailing conditions and will eat up the miles in style and comfort. A retractable bow thruster makes docking a breeze and a powerful 72HP Volvo engine can step in when the winds disappear. Reflection features twin carbon wheels, twin B&G chart plotters and instruments as well as two electric winches at the helm. 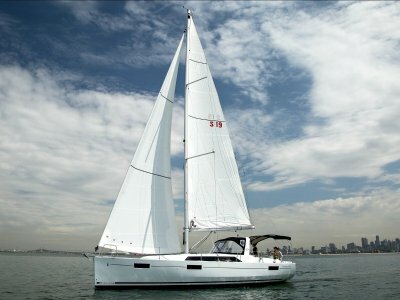 The spray dodger and bimini ensure a dry ride at all times, and her expansive teak cockpit with folding transom is an entertainer's delight at anchor. Down below, a spacious saloon with full headroom (suitable for basketballers) awaits with a dining table and lounge enough to sit eight or more guests. Two cabins aft and a twin Pullman bunk to port provide ample accommodation for friends and family with a day head and shower to starboard. It's the enormous owner's cabin in the bow that really steals the show. An island bed, as well as a separate ensuite and toilet, bring the comforts of home to the water. Back in the galley, a stove and oven and large preparation bench are readily at hand for the chef in your crew. Two refrigerators and a freezer keep the food cold and your drinks colder. A navigation table to starboard makes charting effortless as well quick access to the primary switch panels and marine systems. 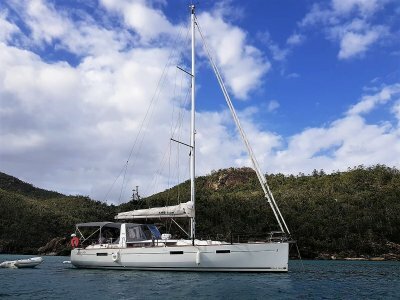 With her blue water capabilities, Reflection will venture beyond Moreton Bay in the cooler months and will be based in Whitsundays and Great Barrier from August to October 2019. 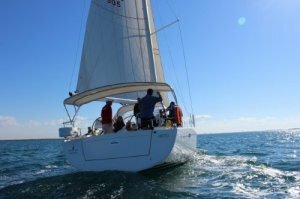 Cruises to Lady Musgrave, the Keppels, Port Stephens, Sydney Habour or other locations are possible destinations through agreement of syndicate members. Reflection is readily available for inspection for prospective Yachtshare owners at her home at the Royal Queensland Yacht Squadron. Yachtshare is a yacht syndication program that offers you the opportunity to own a share of a luxury yacht. By sharing the costs of purchasing and maintaining a boat, you can enjoy the freedom of the yachting lifestyle without all the hassle and financial burden normally associated with boat ownership.